Go to My Account, click the button at the top right of the screen. If the boxes on the My Account screen are blank, you won't be able to add a horse. If you are using Internet Explorer 11, we recommend you use another browser (Google Chrome works well) as Microsoft are no longer updating Internet Explorer 11 and our website security doesn't always work with this browser. If you are using another browser you will need to clear your browser cache and that should fix the problem. 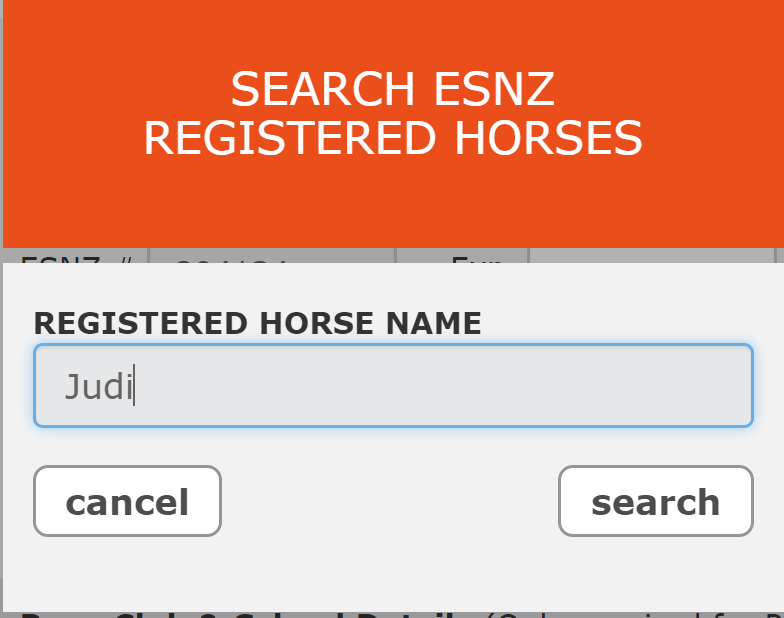 Now you have 2 options, 1 if the horse is registered with ESNZ or not. This will have added the horse for you. 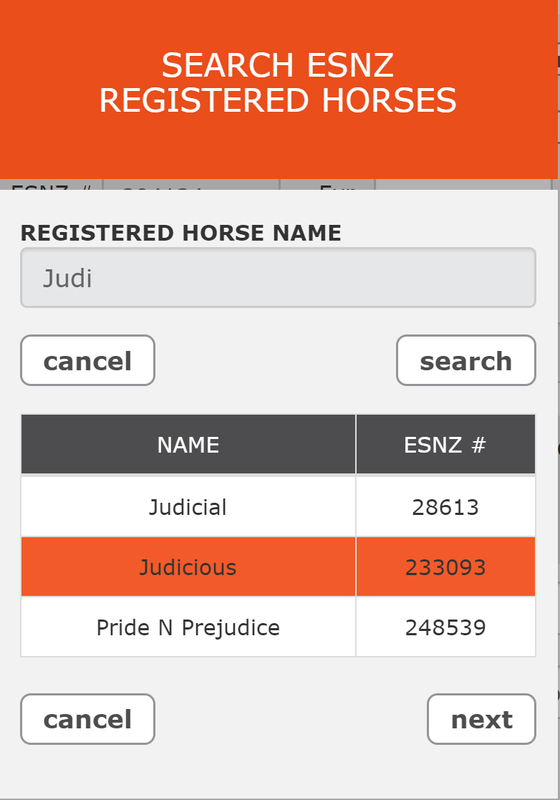 If you don't see the name of the horse as below please log out of Equestrian Entries and close the browser and then log back in again and that should refresh it for you. 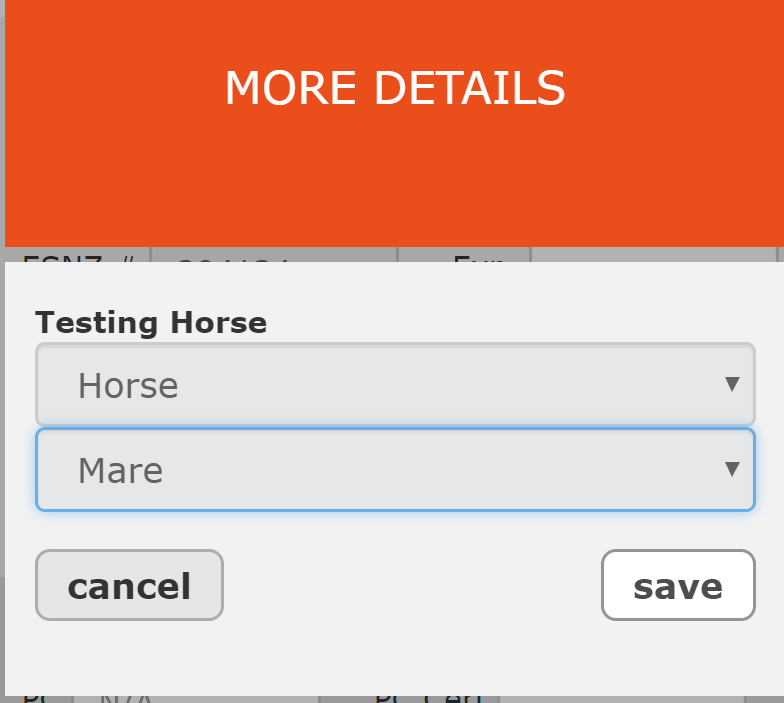 You can click on the detail button to add more details about the horse, for example it's age, height, colour, breeding. Posted by: Yvette Lawson - Thu, Oct 26, 2017 at 10:05 AM. This article has been viewed 3092 times.